One of the best things about street photography is its capability to take the viewers on a deeper level. A level in which the viewers are challenged to dig further into the photograph. Eyes circling around the image looking for connections, messages, realization, and sometimes ending up with more questions than answers. Usually, it’s the photographer who sees these first. Consciously recognizing the elements in front of him/her. But sometimes the subconscious mind recognizes these things, patterns or stories which will promptly alert you to pay attention. In your conscious mind, you just see it as an interesting image, but at the back of your head, things get a little complex which you will only recognize when you start reading your photograph. There are also instances that it’s the audience who gets to read the photographer’s images and reveals a whole new meaning into the photograph than what the original photographer's intention. Honestly, I find this moment magical. It's like winning a contest then your mom gives you a gift because you won. Uhm, something like that. Here are 4 examples of why some images are meant to be read. Photographs, like what they say, tells a thousand words. It’s true especially when the photographer intends to tell a story or bring awareness to the viewers. This kind of photo essay or series are meant to be interpreted based on each photo, the relevance of one image to the next one and as an entirety. 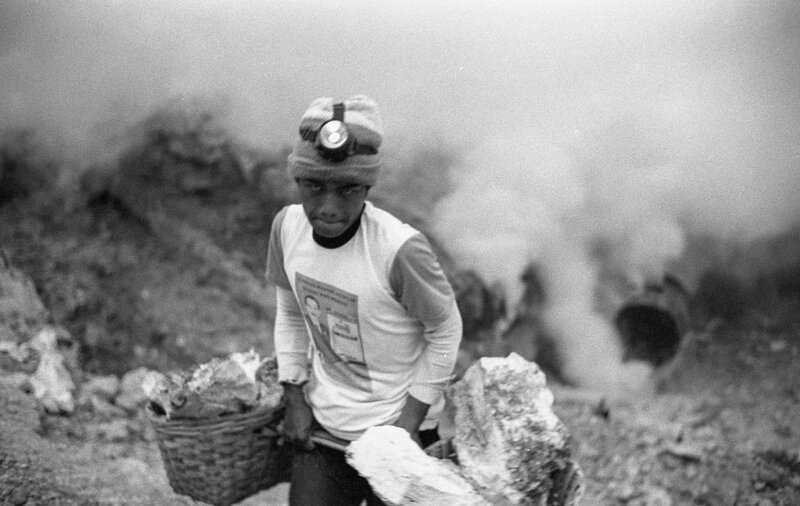 Take this series I made about the sulfur miners of Indonesia. In this set of images, it shows you the hardships of the miners. 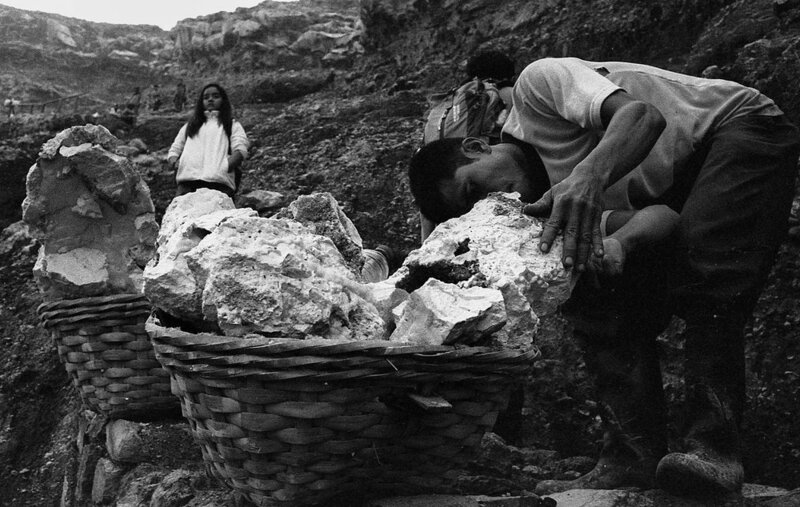 Working night and day, breaking backs carrying sulfurs as heavy as their own body up the crater and back at the foot of the mountain….And going back for another round just to earn a handful. Just enough to get by for at least a day or two. There are certain images that can catch your attention. Overall, it looks good, appealing, interesting, or even bad. But still, you take a few moments and let your eyes wander around the image. Scouring every edge looking for something. What made you stop and stare? What is this person doing there? Where does this lead? Where did this come from? Why is it missing? All questions forming in your head that you don’t realize. You end up looking for it in the picture. There are images that are mysterious that leaves the audience with question marks on their faces. Then they start to look for details, objects, lines, anything to satisfy themselves. Not everyone finds the answer they are looking for. It’s beautiful what a photograph can do to us. Making that little hamster inside our head run on the wheel. Triangles, leading lines, suggestive gestures. All, if effectively executed, let your eyes flow naturally. As if it guides your eyes from one subject to another eventually either returning back to where you started or to the main subject the photographer wants the viewers to see. This can be a challenging composition as you need at least 2 to 3 objects to lead the eyes to the next or the main subject. Now, these objects cannot just be some random things you see. It has to be something that is related or coherent to the next subject you want your viewer's eyes to fall onto. Sometimes your subject’s gesture has to be suggestive. As if the subject commands the viewers to follow and be lead by the gestures of it. This is a photo of HCB. One of the iconic images of him. Notice how the railing of the stairs leads your eyes to the person riding the bicycle. The railing forces you to read the image by following the guiding lines until the end. Another example is this photograph by Constantine Manos. This can be identified as a triangle composition wherein you have three subjects co-relating with each other. You start reading this image starting to whatever you choose to start. I tend to start from the bird and read the triangle this way: The bird looking at the kid; the kid looking far on the wave from the sea; and the wave rolling back towards the direction of the bird. It’s obvious. Right in your face. But as you let your eyes wander around the photograph you see another piece. It then completely changes the image’s story. From something you are sure of turns into something that is confusing. You start formulating the story again in your mind, scrubbing off what you had earlier. Sometimes an image can surprise you. Images that need only the sharpest of eyes to see it. Look at this picture. What did you see the moment you looked at it. Now, read the photo and what do you see? Yes, by the looks of what clothes he’s wearing, we can assume he’s Muslim. And that necklace you see is also a religious piece. A Buddha, I believe. Add the facial expression he has and now the image turns into something we can all debate about. That is unexpected. By the way, I credit this explanation to my street photographer friend, @doobert_06 who spotted all these things. I honestly just saw the juxtaposition between the man’s facial expression and the photograph of Jesus on his left pocket. Images may need a little more attention than we think. Sometimes a good image is missed because we fail to read it. It’s not always that you have to but it’s a good exercise both for the viewers and the photographer. It allows you the widen your interpretation of an image by digging deeper into the photograph than just appreciating the obvious. As always, pick that camera up and let's go make some photographs! Please share this if you like it. Help me voice my thoughts!